Rwandan Hutu rebels urged the United Nations Tuesday not to succumb to Kigali's threat to withdraw troops from Sudan if the world body publishes a report accusing the country's troops of crimes. 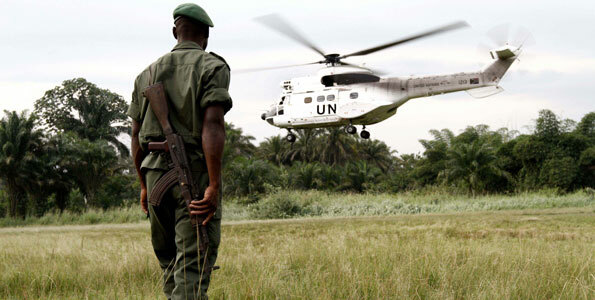 The Democratic Liberation Forces of Rwanda (FDLR) rebels, based in neighbouring Democratic Republic of Congo, called on the UN to purge its peacekeeping missions of forces it claimed were soiling its image. The group asked the UN "not to surrender to the manoeuvres, tactics of intimidation and other forms of blackmail that Kigali began to practice... by threatening to withdraw its troops from the UN peacekeeping missions. "Rather, it's now or never for the UN to get rid of soldiers that, with hands stained with innocent blood, bring disgrace upon an institution whose mission is to maintain peace in the world," the FDLR said in a statement. A draft version of a UN human rights report on the DR Congo accused Rwandan troops of genocide-style massacres in the country in 1996-97. Infuriated Kigali threatened to pull out its 3,500 troops serving in a UN peacekeeping mission in the Sudan, prompting UN Secretary General Ban Ki-moon to travel to Kigali last week for talks with President Paul Kagame. "The FDLR urge the international community and particularly the UN... to ensure that no one, without exception, of those who have participated in the genocide of Rwandan and Congolese Hutu escape justice," added the text.